A gold bridge. Unforgivable ! Yeah and a woefully positioned monkey grip! You could do someone an injury with that trem. Imagine flinging that about on a small stage. I think the monkey grip position might just be counterbalanced by the Bigsby projection. Hey ... another name for a TV documentary The Bigsby Projection. ... and John Williams' rendition of G on an Airstring by JS Bach. With a new VR Guitar, anyone can play a Bigsby-equipped guitar and stay in tune! 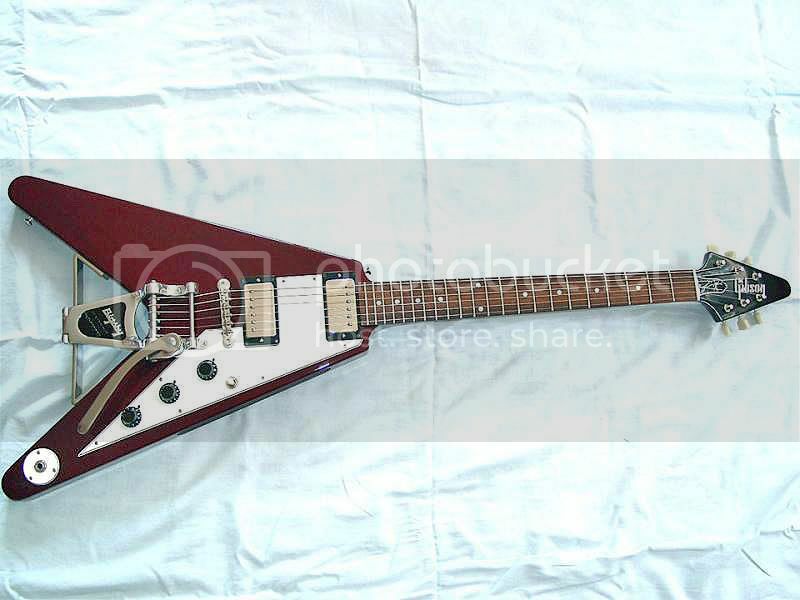 PLUS you can put a Bigsby on anything (a Flying V, Strat, acoustic) and not have to attend weekly support groups. It would have been a good April fools. I think it's all a bit nuts. And ugly! 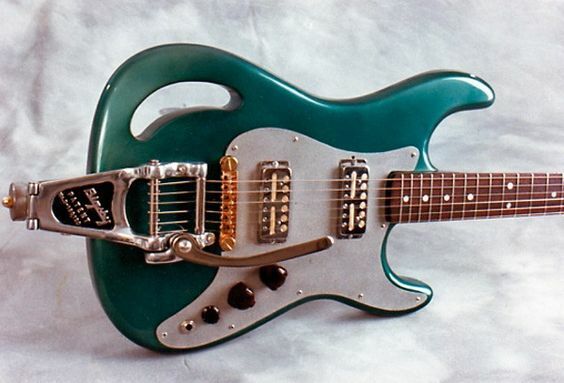 And I don't usually find many guitars ugly. I have a thing about green guitars. Can't play em. It's not right. For me, music isn't green and instruments need to be in musical colours, so all my guitars are in the red end of the spectrum (and black and white, which aren't colours..) - orange, yellows, browns. You know when you're digging in to some Michael Schenker riffs, coming up to the end of the solo and you want to give that final high B on the 19th fret .... a gentle, soothing vibrato?